Over 60,000 students have rated our courses over 4.7 out of 5.0 over the last 10 years. Our library ranks in the Top 5 of continuing education hours offered in Texas. We provide courses across much of the U.S.
Take your classes on your schedule! Our system tracks your progress and allows you to log-in and out as many times as you like. 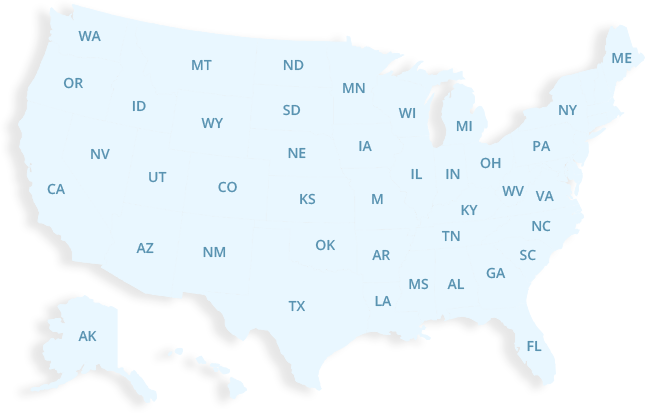 We provide state-approved insurance continuing education courses across much of the US. Select a state to find out more. Whether you are visiting our site for the first time or are a regular user, we know you will be pleased with the breadth of our resources and our depth of knowledge and customer service. Our courses are completely web-based and easy to use. You go at your own pace. No stress. Period. Our prices include all taxes and processing fees up front. You will not be surprised by “extra” charges when you check out. If you have an issue, a member of our customer service team will answer your call. They are here in the U.S. and will work diligently to solve any issue you might encounter. We report your CE course completions on time, every time. No exceptions. Our students have consistently been satisfied with our courses, with many returning year after year. Our product and experience speak for themselves.